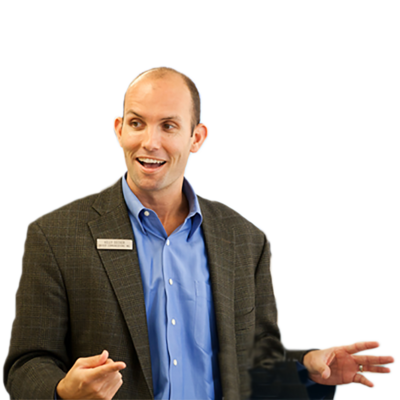 Ben Decker joins 33voices to talk about business communication and how to inspire your audience to action. Earlier this week, I got a real thrill helping a good friend put the finishing touches on his first ever board presentation. Despite not being in the same room and having to use Skype video, I was super impressed by his poise, wit, and supreme clarity. Rehearsing in his conference room, I could sense his presence as his eyes surveyed the room, pausing to recognize and acknowledge the imaginary board members and bringing up issues that he anticipated might raise concern. He left no stone unturned, and like an elite athlete, he visualized every detail — including who was going to sit where, who could say what, and how he would respond to his harshest critic. All in all, he nailed it and left me with little doubt that he had complete command of the stage. Great communication moves people, but great communicators are elusive and rare. They listen more than they speak, they connect to the heart much more than they do to the head, and they understand that the greatest value they add isn’t in what they say, but more in what their audience hears. For the past three decades, Decker Communications has been the go-to firm for entrepreneurs who want to communicate with impact, and in their book, Communicate To Influence: How to Inspire Your Audience to Action, Ben and Kelly Decker share for the first time, the philosophy that anchors their structure.